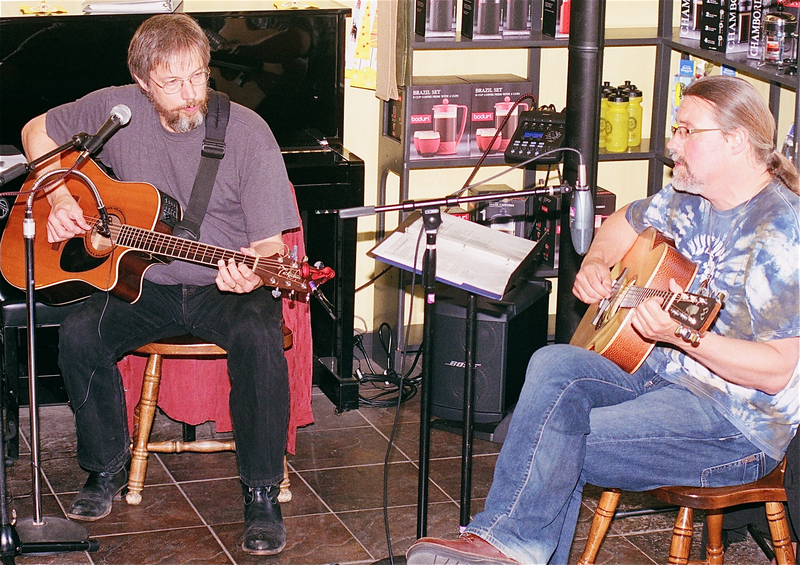 Arts Downtown Park Rapids 3rd Thursday: Tomorrow! The Arts Downtown PR series continues from 5 to 7 p.m. Thursday, Dec. 19 at four locations in downtown Park Rapids. Julie Kaiser will perform as Zelda Fitzgerald in selected scenes from “The Last Flapper” by William Luce from 5 to 5:30 and 6 to 6:30 at Beagle Books. Next door, Roz Pederson and Deane Johnson will perform Christmas music on piano and clarinet at Bella Caffè from 5 to 5:30 and 6 to 6:30 p.m.
Terrapin Stew (Brian Skinness and Larry Kimball) will entertain at The Good Life Cafe from 5:30 to 6 and 6:30 to 7. Fran Gack will sing a variety of Christmas music, accompanying herself on mandolin and guitar, at Necce’s Ristorante from 5:30 to 6 and 6:30 to 7. There is no admission charge to Arts Downtown PR events, sponsored by the Park Rapids Lakes Area Arts Council and funded in part by a Region 2 Arts Council Grant through an appropriation by the Minnesota State Legislature Arts and Cultural Heritage Fund passed by Minnesota voters on Nov. 4, 2008. Previous postThe Minnesota Fringe Festival is Coming to Town!